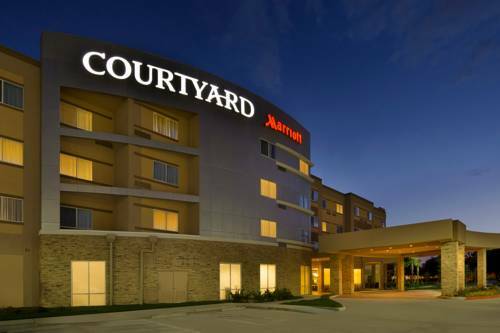 The new Courtyard by Marriott Houston TX NW/290 Corridor hotel features 112 rooms and over 2,000 sq. feet of meeting space. The new room design is game-changing and in sync with the Courtyard Refreshing Business lobby, offering inviting spaces to work or relax in. We also offer complimentary Wi-Fi and easy access to the latest news, weather and airport conditions via our GoBoard. The highlight of the new lobby is The Bistro - Eat. Drink. Connect. with a variety of fresh, made-to-order breakfast, dinner, and beverage selections, including 24-Hour Starbucks coffee and specialty beverages. Recharge in our fitness center, indoor pool or patio. The business center and The Market are available 24 hours a day. The new Courtyard by Marriott Houston TX NW/290 Corridor hotel is conveniently located near The Galleria (12m), Downtown (17m), CityCentre (8m), Energy Corridor (13m) and local businesses such as Baker Hughes, General Electric, NOV, IBM and Toshiba.